We have fantastic facilities for Private Dining. 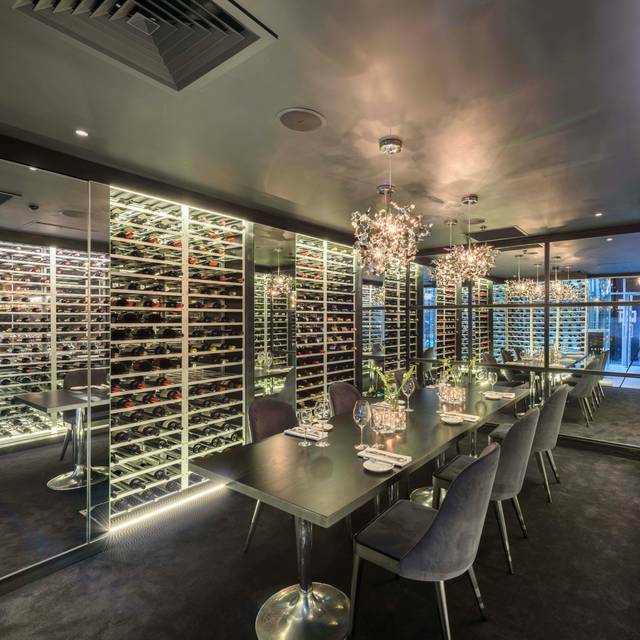 Our 'Zuccardi Room', a sophisticated private dining room, offers the perfect space for 10 - 16 guests for corporate or private dining. We also welcome private hire of the restaurant during weekends. We're situated where two of London’s most dynamic neighbourhoods meet; the financial hub of the Square Mile and the trendsetting East End. 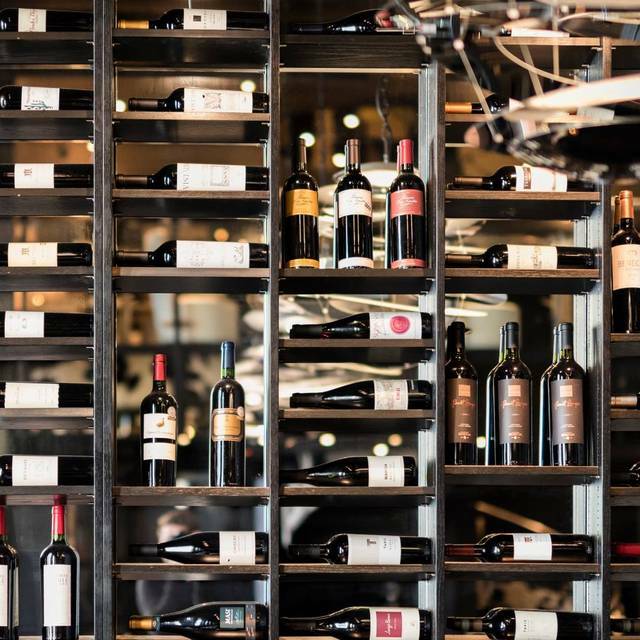 Our menu is focused around impeccable Argentinian steaks, flavours of Latin America and a perfectly curated wine list. 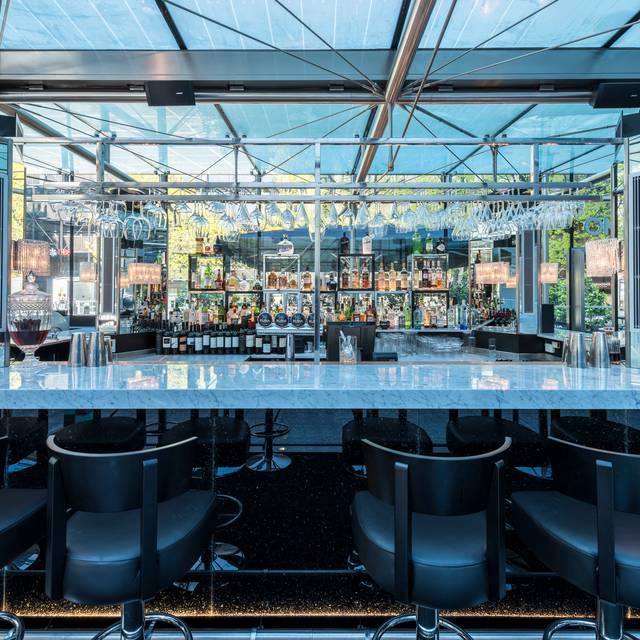 You’ll be welcomed by our spectacular glass bar and heated terrace, the perfect spot for after work drinks, before winding down our spiral staircase to our sky-lit lower ground floor dining room. Here you’ll be able to experience the theatre of our open-kitchen and grill in warm and uncomplicated interiors inspired by the textures of Argentina’s forests. Host in one of our impressive private dining rooms or relax in our secret courtyard with a cocktail in hand peering up at the London sky and City lights above. Award-winning steaks, Latin plates and great drinks with impeccable service, what better way to dine? We had a fantastic meal, it was my daughters 21st birthday and everyone especially Hilda was very attentive. Thank you so much for reviewing our restaurant. It is great to hear that your experience with us was fantastic and we hope your daughter also enjoyed her birthday. Please do come again, we are looking forward to welcoming you and your family again. Entrance to restaurant from above bar was blocked with approx. 30 drunk females which had over flowed from the brunch meal; Gaucho staff wouldn't take us to our table 10 minutes early so were made to sit outside in cold due to inside being full with the female party of 30. The entire place smelt of heavy amount of bleach. Once downstairs the entire place was empty so unsure why we couldn't have been seated. Asked staff if I could retrieve something from my coat only to see that they have all been thrown into one pile, no respect to peoples belongings. Once seated, staff were still hoovering around us, hitting the hoover numerous times into our feet. Member of staff serving us was slow. The steaks weren't cooked in the way we asked (mine was asked to be rare to medium, more like medium to well) which isn't on when paying nearly £50.00 per meal, but was too hungry to have to wait for re cook. Was my father 70th birthday and staff refused to light a candle on the desert due to health and safety reasons?!? Not the Gaucho experience I've encountered in the past, and unlikely to hurry back or recommend. 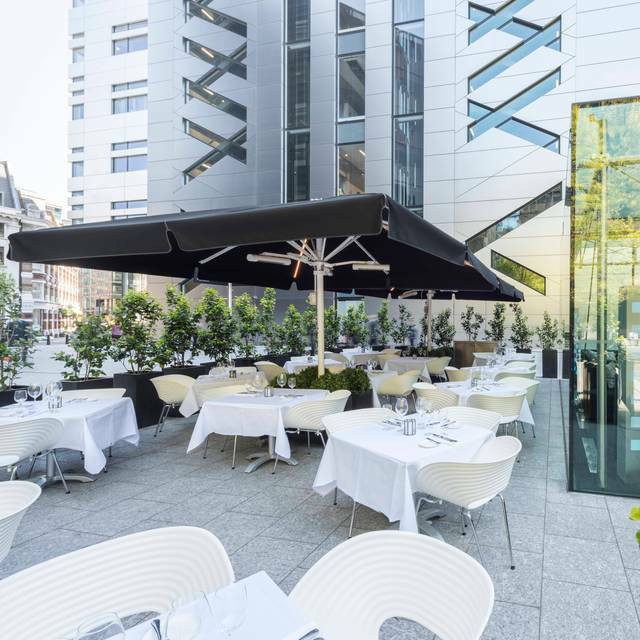 Gaucho Broadgate is a fantastic environment, whether it be for lunch meetings or a romantic meal for two, it has it all. The service is incomparable with any other establishment of similar standards. The food is exquisite and the ambiance is wonderful. Thank you so much for taking the time to rate and review your experience with us! It makes us very happy to hear that your experience with us was wonderful. Please do return, we look forward to welcome you again soon! The meat on the other hand was not at level expected. I was recommended this place by my colleagues for my birthday and I have to say this was the best recommendation ever. Everything about this place from the food to the service and atmosphere made the experience worth it. And my friends have voiced the same. Thank you so much, we are ecstatic to know that your birthday celebration with us was successful for you and your friends and would like to take this chance to wish you happy birthday again. We aspire to make all of our guest happy at their every visit, and so thank you again for your lovely review and we will be looking forward to welcoming you back at Gaucho Broadgate again! Terrible service, waitress RUDE, terrible food, was it even Steak?? Cooked badly, clearly wasn’t rested! Seated next to a table of drunken swearing women when there were loads of vacant tables. Obviously, whoever bought Gauchos out are only interested in money. Shockingly bad, absolutely s**t!!!! Celebrated my birthday with 3 friends, all enjoying some pretty amazing porterhouse cuts. Thank you so much for taking your time to review our restaurant. We are thrilled to hear that you have had found our cuts amazing and that our team provided fantastic service to you and your friend. We hope your birthday celebration with us was excellent, and will be looking forward to seeing you again soon at our Gaucho Broadgate restaurant. Gorgeous food and helpful staff, will definitely be returning! Thank you so much for taking the time to rate and review your experience with us! Please do return, we look forward to welcome you again soon! Amazing food everytime with exceptional service. The lunchtime menu is very reasonably priced and has a great selection. Decor beautiful. Waitress friendly. Food very good esp the steak and seabass but I think a biy over-priced. Thank you so much for taking your time to review our restaurant. We are so delighted that you found our restaurant beautiful, and it makes us happy to hear that you have enjoyed the food and that the host who looked after you was friendly. We will also pass on this feedback to rest of our team. Thank you again so much, and we are looking forward to seeing you again. What a fabulous restaurant - they tick all the boxes and I will definitely be back. Superb food, service and venue. Thank you very much for taking the time to rate and review our venue! We will definitely pass on your amazing feedback to the team! Please do come back, we look forward to welcome you again! 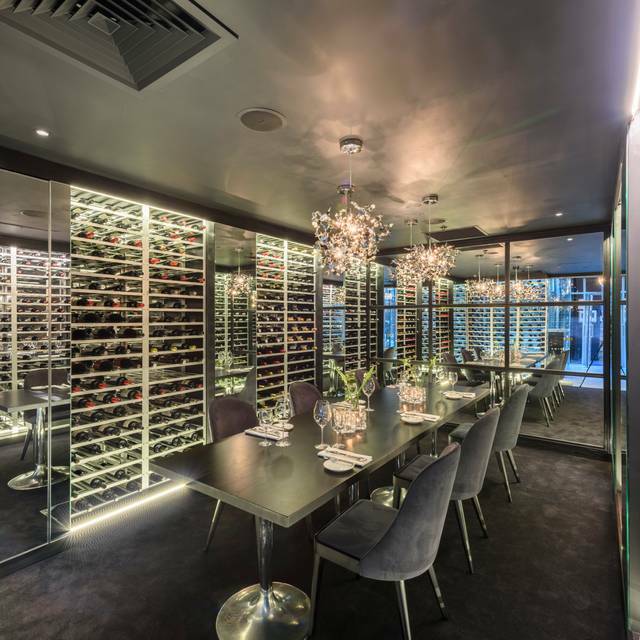 Thank you very much for taking the time to comment on your experience at Gaucho Broadgate! Glad you enjoyed so much your Chateaubriand and Malbec, please do come back and try another one of our vast choice of Argentinian wine (and now World Wine too!)! We look forward to welcoming you back! Wrong food delivered & took an age to be corrected while the rest of our food went cold & steaks overcooked. Could eat at a Michelin Star restaurant for the same price. The service was brilliant, the waiter was superb just say thank to her “ she was pregnant I don’t remember her name, sorry about that “the food was good but not great, the steak was cooked perfect the only problem was the noise. Thank you very much for taking the time to rate our venue and review your experience. We do take very seriously all the feedback from our guests and will also pass along your lovely comment regarding Alina, she is indeed amazing! We look forward to your next visit! Very rowdy with large groups of excitable teen/twenty something's. Not ideal to go as a couple. It was like being at a football match to be frank. Food Great, service great and service did what they could to control the mob but it still tainted the evening. the food is very bland been to better steak houses for the prices they ask for you would expect the food to be nice .The staff were nice and attentative .The toilets could do with better lightning. Lovely restaurant and the steaks are fantastic. Really good service, with the waitress talking us through the various cuts of meat and being attentive throughout. However, overall was fairly disappointed - the chips were somewhat greasy and not to my taste, and for £35 each (steak and chips and dessert, drinks paid for separately) it seemed to be very poor value, even when ordering off the set lunchtime menu. I liked the restaurant, but chips and lack of value for money would put me off returning. Previous experience here was amazing but the new menu combined with just lesser tasting food (possibly just the day) was disappointing. Creamy mac n chees cheese became paster and butter. Gnocchi completely gone. Steak entirely unsalted with a texture like tissue. Awesome, lovely staff, delicious food, highly recommend. Thank you so much for taking the time to rate and review our venue. We are very glad that you had such a wonderful experience and will pass on your comments to all the team! 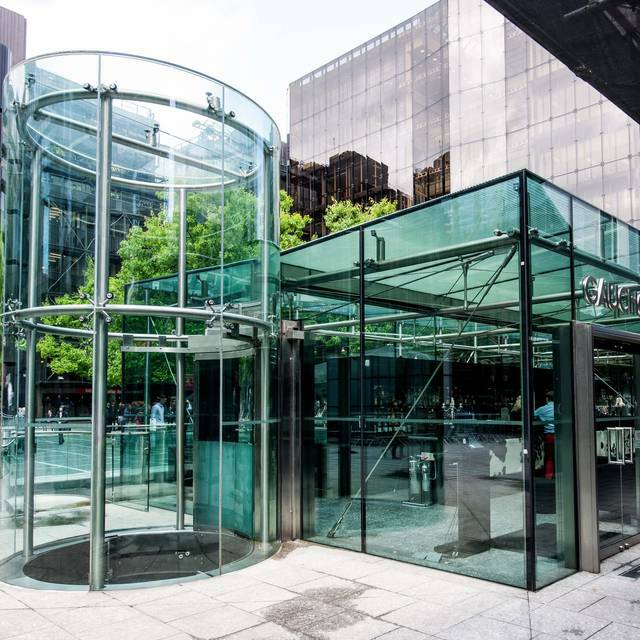 We do sincerely hope to welcoming you back at Gaucho Broadgate! Everything was great except the food. It looked wonderful, but had no flavour at all. My first time dining at this Gaucho and was really happy with the food and the service. We are delighted to hear about your first time experience with us and thankful for such great feedback! 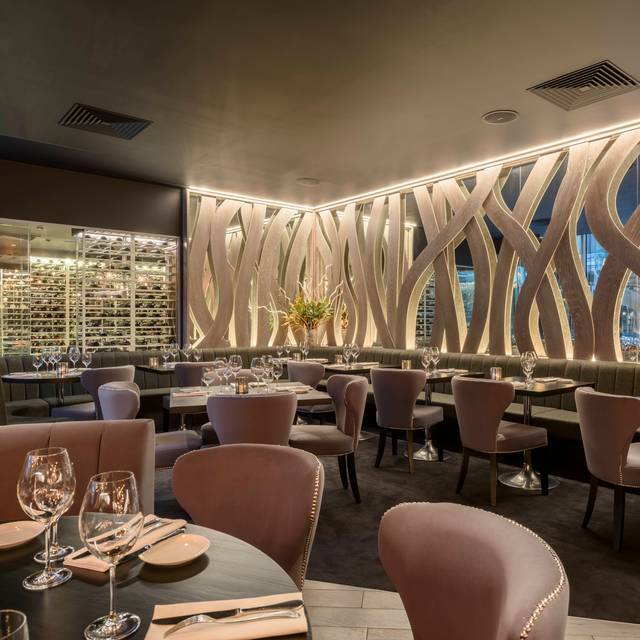 We look forward to welcoming you back in Gaucho Broadgate! What an amazing dining experience. The service was perfect, they went above and beyond to ensure we had a good evening. The staff were faultless. Our steaks were delicious and we had a great choice of wine’s from their impressive wine list. I can’t wait to go back! It makes us very proud to read such amazing comments! Thank you so much for sharing your experience here and we will pass your positive feedback on to the rest of the team! We definitely agree with your opinion on our wine list, please do come back to try a few more! We look forward to your next visit! Great service and food. Did find my steak was more med/well rather than medium but it didn’t stop me eating it! Thank you for taking the time to review our venue! We do take aboard all feedback from our guests and are very glad that you had such a great experience with us! We look forward to welcoming you back! Thank you very much for an excellent review and praise of Gaucho Broadgate. Please do come back to try a few more of our new dishes, we look forward to welcoming you again! Very friendly service. Got some nice surprises as it was my wife's birthday. Tasty food, nice setting. Thank you for taking the time to write such a great review! We are very glad that you had such an amazing experience with us on your wife's birthday. 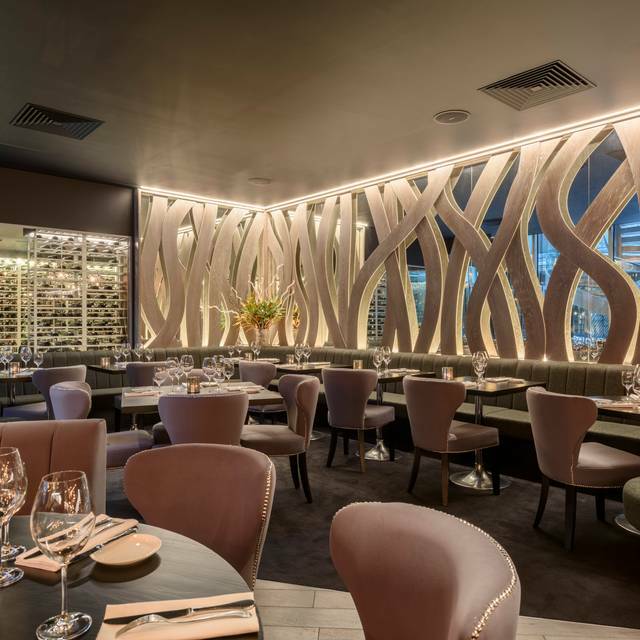 We look forward to welcome you both back at Gaucho Broadgate! Good afternoon! Thank you so much for taking the time to review our restaurant, we are really glad you enjoyed your experience. Please do come back and try a few more of the dishes we provide on our new Spring menu. We look forward to welcoming you back! Great steak as always but the new menu is not as good as it was. The selection and quality of sides has been downgraded. Popcorn on broccoli was odd. The new chimichurri sauce needs to revert back to the old oily style. We visited here with a voucher, which was xcellent value. The staff are outstandingly friendly and both greeted us at the door and were there to say goodbye. We had a relaxing drink in the upstairs bar before our meal. Our only complaint here was that the music was a little loud, however, having said that, the clientele in general were younger than ours! Our chateaubriand was excellent and beautifully cooked. The accompanying fries were lovely but the tenderstem broccoli was definitely not tender. A mistake with one of the sauces was speedily rectified and the house red of excellent quality. The final flourish of a sharing pudding platter with chocolate sauce was just the thing to finish off a great evening. Thank you so much for taking the time to review your experience with us! We do value all your feedback and are very glad that you had such a positive experience. Maybe next time you could also try a different kind of cut, as all our beef is delicious! We look forward to welcome you again! Another fantastic visit to Gauchos, great food and service! Thank you very much for such a great review! Please do come back, we look forward to welcoming you back in our venue! Thank you very much for taking the time to rate our restaurant! We are delighted to hear that we made your anniversary meal special. We are looking forward to seeing you again. The set menu before 7pm is really good value. I had the seabass ceviche and then rump steak. Good wine selection. 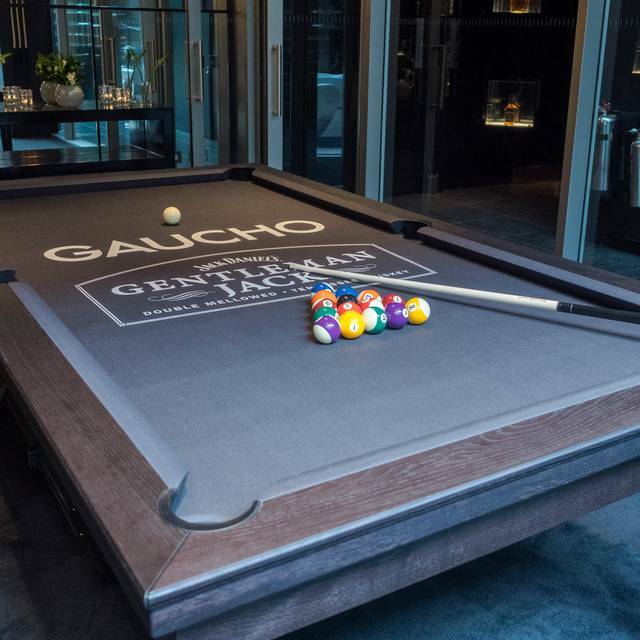 Thank you so much for your visit with us at Gaucho Broadgate. We are very pleased to hear that you find our set menu as a really good value. We are looking forward to welcoming you to our restaurant again. I booked a table at Gaucho's Bishopsgate for my cousin's birthday. He had an enjoyable time; the food was of the highest quality and the waiting staff were attentive and able to answer our queries about the menu as well as making helpful suggestions. Great food and a better seating arrangement than others. certainly my favourite Gaucho location. steak was cooked to perfection. wine was good and service is always excellent. It was a lovely dining experience for my other half for his birthday. The service was impeccable, especially our server for the evening. She was such a bundle of joy but had wonderful professionalism throughout. The food was wonderul also, especially the mashed potato with truffle butter. Just perfect. For a Saturday night it was fairly busy and a little noisy despite making dinner plans for 8pm we thought it might start to quiten down. Regardless it was a wonderful evening out. Another great meal at Gaucho Broadgate. Quick service and great food. Second time to Broadgate Gaucho but first time we tried the set menu - such good value for money! Food was great, service great. Was quite quiet when we arrived as it had only just opened but as it got busier atmosphere picked up. Would definitely recommend! Not the best fillet steak I've had so was underwhelmed. It was not as tender as I was expecting and overall I didn't think the food was that great.